Did you know that Cucumbers are one of the most popular vegetables? And this despite requiring lots of growing area. But, there are ways to get around this drawback. To remedy the space problem, train cucumbers on a trellis for a vertical garden. Trellis's also makes for easier harvesting. Certain varieties of cucumbers do well in container gardens, another space saver. 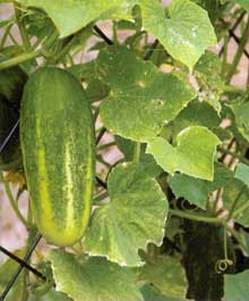 Cucumbers are tropical and require balmy temperatures, so plant in the garden after the weather has warmed. And when you plant, make sure you have enough growing season. Cucumbers won't tolerate frost. To get a jump start on the growing season, start your cucumber seeds 10-14 days before you expect to set them out. The fast growing vines of the cucumber requires plenty of moisture and slow-release fertilizers, such as worm castings and compost. To retain moisture, work in a good quality compost into your garden soil and apply mulch. 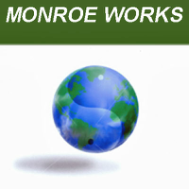 Worm castings also increase your garden soil's moisture retention capabilities, as well as supply high quality, slow-release organic fertilizer. Cucumbers are easily started from seeds. The big seeds germinate very quickly and can be stared in flats or directly into the garden or containers. Add Black Castings™ to a good potting soil mix: 4-5 parts to 1 part castings. Fill your starter containers. Sprinkle and inch of Black Castings™ on the top of the potting soil and make three 1/4 inch impressions (the eraser head of a pencil makes a good tool). Place cucumber seeds into holes and spray with VermaPlex® mixed 20:1 with water. Cover seeds and spritz with the VermaPlex® /water mix. Place cucumber containers into a shallow tray and keep adding water until the potting mix has absorbed enough moisture. Cover the container with plastic to preserve the moisture. This will keep you from having to add any more water to the containers until germination is complete. Place in the covered tray in dark, warm place. Check pots daily for seeds germination. Seeds will sprout much quicker with the Vermaplex® application, so it's a good idea to check twice daily. When you see a cucumber seeds popping up, immediately place the container in bright light. After a few days, when all the cucumber seeds in a container have germinated, snip off all but the most healthy seedling. Once plants have formed true leaves, apply mix of 4-6 ounces VermaPlex® per 1 gallon of water (pre-bloom). Transplant the cucumber seedlings into larger containers or into the vegetable garden. 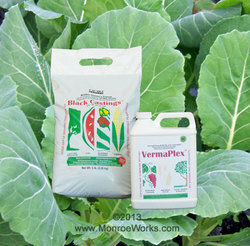 After bloom, apply VermaPlex®/water drench (2 ounces per 1 gallon water) mixture every 7-14 days. Apply a top dressing of Black Castings™ throughout the growing season, followed by an application of VermaPlex®. Start your cucumbers right and enjoy a succulent tasty harvest organically. Try this convenient combo item of 5 pounds Black Castings and 1 quart VermaPlex as your cucumber fertilizer and watch your them grow. Good for you...good for the environment.